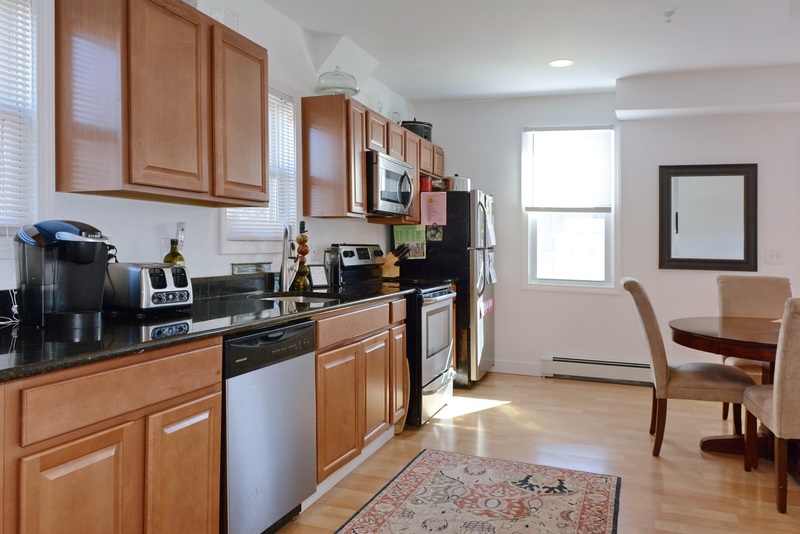 For Sale: 3BR Townhouse in Vibrant Amesbury! Make yourself at home! This 3BR/2BA condo is recently updated and spacious! The eat-in kitchen has granite counters, stainless Frigidaire appliances, and ample cabinets and counters. Two custom tiled baths and in-unit laundry add to your convenience. Unit 6A has exclusive use of the side driveway, which easily fits 4 cars. Extra storage area is in the basement and attic. Cats? No problem, 2 are allowed. Low HOA fee ($175/mo) covers water/sewer, a healthy reserve balance and more. All this, plus close to shops, restaurants, galleries, farm stand, bike path and highways I-95/495. Lake Gardner Beach is less than a mile away. Life is good in Amesbury!